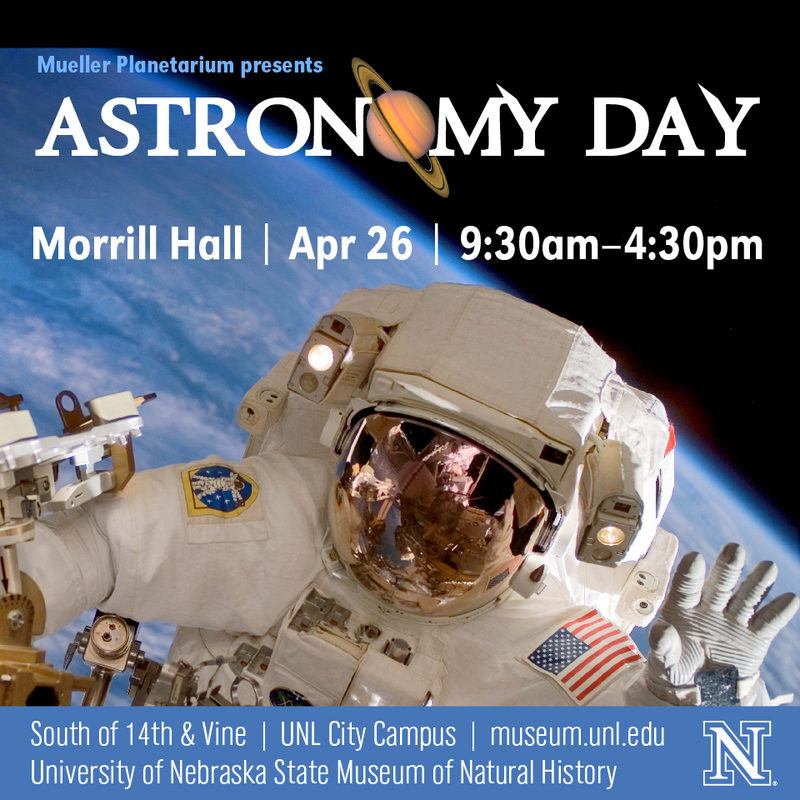 The University of Nebraska State Museum will celebrate Astronomy Day from 9:30 a.m. to 4:30 p.m. April 26 in Morrill Hall (south of 14th and Vine Streets on the University of Nebraska-Lincoln City Campus). Children and families will interact with amateur astronomers, engineers and physicists to learn about planets, optics, telescopes, space travel, nanotechnology and more through hands-on activities. The event will also feature appearances by Nebraska's own astronaut, Clayton C. Anderson, and opportunities to win prizes including a Celestron AstroMaster 70AZ telescope and Orion 10x42 binoculars from Astronomy Magazine and the Prairie Astronomy Club. 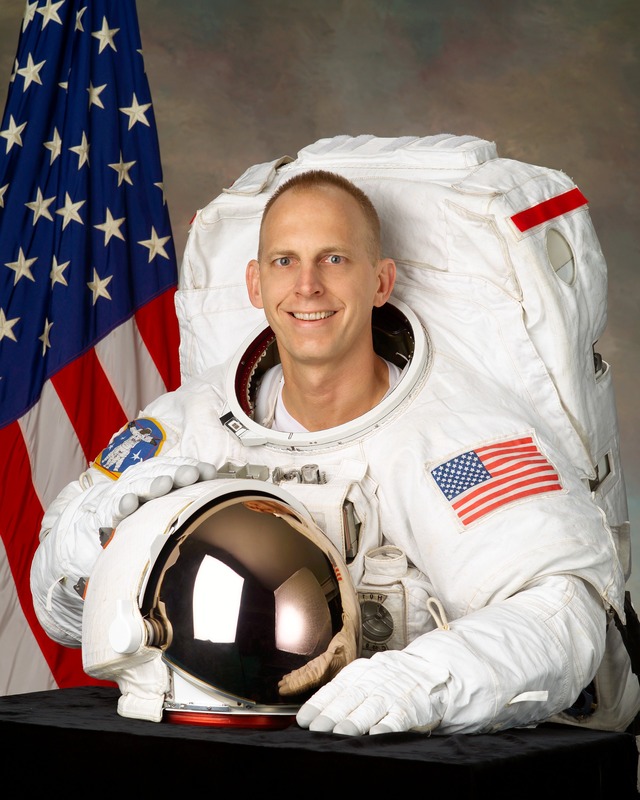 Anderson will give 30 minute presentations at 10:30 a.m. and 1:30 p.m. in Morrill Hall's auditorium, featuring images from his flights aboard the Space Shuttle and expedition to the International Space Station. Seating is limited. A photo session with Anderson will follow both talks. 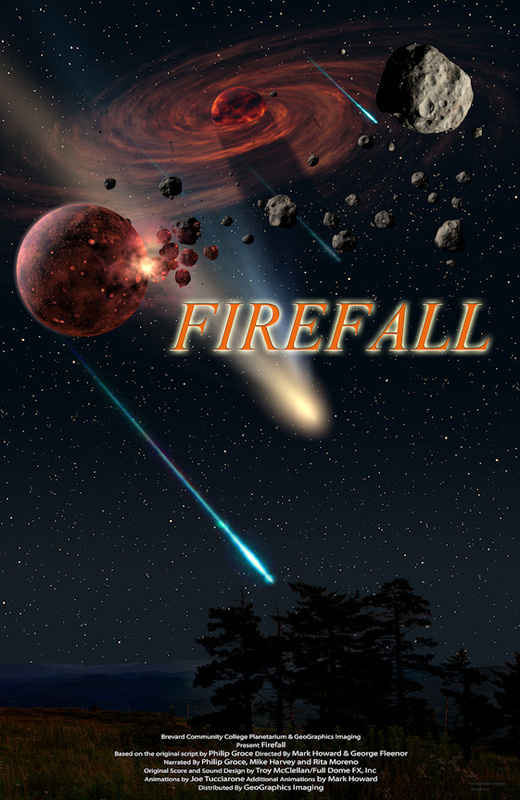 Mueller Planetarium in Morrill Hall will present "Firefall" (46 minutes) at 11 a.m., noon, and 1, 2 and 3 p.m. The fulldome show explores meteors, comets and asteroids, and includes a skytalk about the current night sky. For more event information, go to http://www.spacelaser.com/ADay2014.html. Astronomy Day is a national celebration of amateur astronomy started in the 1970s by the Astronomical League. The observance at Morrill Hall and Mueller Planetarium is the only Nebraska location sponsored by Astronomy Magazine and Celestron Telescopes. The University of Nebraska State Museum of Natural History in Morrill Hall is open 9:30 a.m. to 4:30 p.m. Monday-Wednesday and Friday-Saturday, 9:30 a.m. to 8 p.m. Thursdays, and 1:30 to 4:30 p.m. Sundays. Regular admission is $6 for adults (19 and over), $3 for children (5-18 years), free for children 4 and under, and $13 for families (up to two adults and children). UNL staff, faculty, and students are admitted free with NU ID during all regular hours. Friends of the Museum are also free. Parking is free in front of the museum. For further information, telephone the museum at 402-472-2642 or visit its website, http://www.museum.unl.edu.